Showing results for tags 'mayalaran'. This is made from just cheap Daiso (Japanese dollar store) UV resin, but the mold-making material is top-of-the-line. Not all of the fingers came out quite right, but that's because of bubbles and can be fixed with the proper technique. 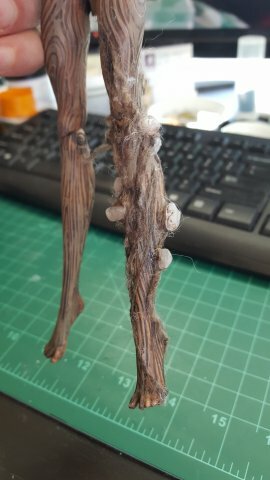 Now I just have to figure out how I'm making the wrist joint. Still, crystal hands! 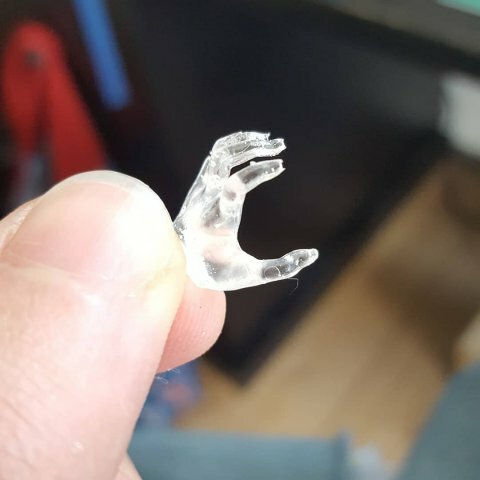 I'll probably make longer nails from clear bits of plastic straw and glue them to the tips to make them even more like claws. 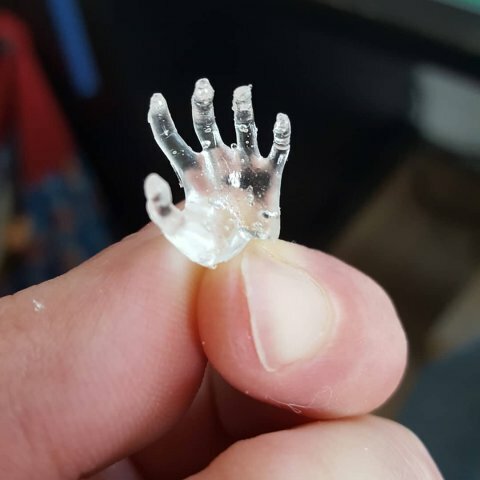 Because I like to make things hard for myself, I'm playing around with casting Maya's hands out of clear resin, to make them look like they're made of crystal like in the books. This early test run came out much better than I had any reason to expect! 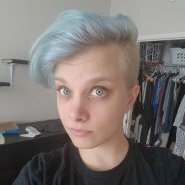 [OB spoilers] Is Maya alive? Adolin's Blade. Is she actually dead? She shows some cognizant abilities, but she's unresponsive. She knows her name. She's able to decide how fast she appears in Adolin's hand. So...is she becoming less dead? Or was she never dead in the first place? I made her a little dress so she wouldn't be all naked lol. It's just a placeholder for now, but the cloth's a really good texture and with some painting and detailing it should look pretty great. I'm so happy with the way the new crystals look. The sharp geometric lines contrast nicely with the organic forms of the body and when I add more vines it should look like they're growing out of her. 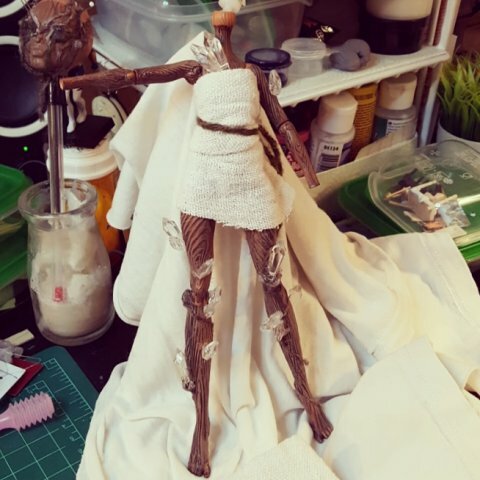 I really like the way the paint job brought out the texture of the body; it goes a long way to making it easy for me to make her look organic. They look like rocks rather than crystals, even though they're real quartz! XD I think I'm going to just go with some tacky crystal beads and really play it up. Feedback wanted: Maya base materials! Everyone's favorite deadeye cultivationspren, or the start of one, anyway. 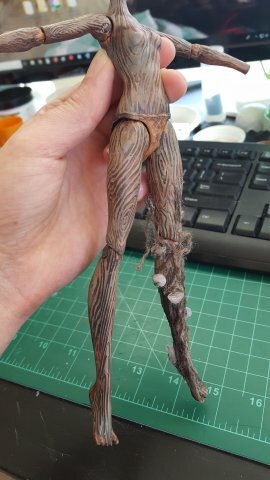 I'm so pleased with how the wood texture of her body looks, and I plan to paint it a little to bring out the effect even more. (Her head and hands come from a Howleen Monster High doll, while her body is from Ever After High's Cedar Woods.) 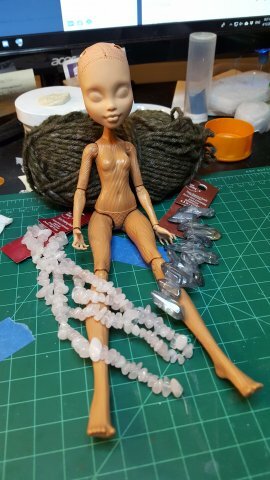 To hide some of the "pegs" and make her a proper cultivationspren, I'm going to add some crystals, but I'm going back and forth on whether to use the small pink quartz (which are more book-accurate) or the big blue ones (which are more dramatic). What do you think?